Improving fuel economy depends on the peak flame temperature (the higher the better), and the time to complete the combustion process (the shorter the better). 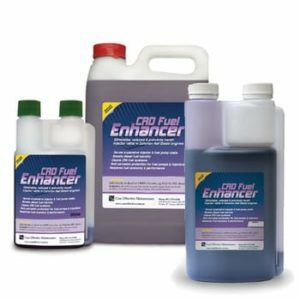 It is indeed rare for any fuel additive to produce fuel economy improvements in as new engines, and while it is possible for use of an injector cleaner to result in better economy, it is really a matter of restoring lost efficiency. There would be no change in a new engine which is already clean. The most recent validation of FTC improving fuel economy comes from Australia’s Prof Dongke Zhang in a paper presented to the Asia Pacific Conference on Combustion (2009) in Taiwan. His work was commissioned by BHP Billiton. Combustion Deposits. As engines operate, deposits tend to accumulate with time, particularly in combustion and exhaust spaces. This results in a gradual, almost imperceptible deterioration of operating performance and economy. These deposits affect economy and performance in several ways. Deposits around piston ring grooves cause fouling of the ring, and even slight fouling results in loss of cylinder compression. In addition, deposits in combustion and exhaust spaces interfere with the smooth efficient flow of gases. Where turbochargers are fitted, the extra weight of any carbon that forms on the turbo blades will slow it down, and reduce supplied air to the engine. General deposits also produce mechanical drag, which further reduces fuel economy. The de-carbonizing effect of FTC Decarbonizer is also a catalytic action, and permits these deposits to be safely burnt off during normal engine operation. It works on the combustion of carbon deposits, by catalytically lowering the combustion temperature of carbon by an estimated 100-150C, and in so doing restores lost compression, design gas flow and mechanical action that may be impaired by excessive deposits. The more badly coked up an engine has become, the greater the opportunity to improve (ie restore) fuel economy. Typically fuel economy improvements of 6-8% are achieved for engines in pretty sound condition. However, where engines have become badly coked up, fuel economy may have already dropped dramatically, and so with restoration of engine cleanliness, can also come some amazing gains in economy. I’m reluctant to quote some of the over-the-top sort of cases we’ve had, but there will be one or two examples in our website Case Studies file. Make no mistake, these extreme improvements are not the norm. Many of those engines are either heading for a deposit caused failure, or would benefit by a rebuild. All these operating conditions promote deposit build up, as well as combustion inefficiencies…so there is added potential to improve fuel economy with FTC. Fuel System Deposits. 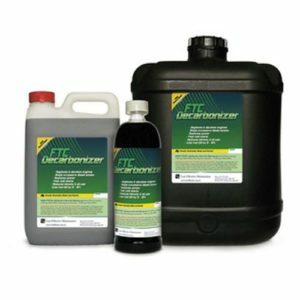 This is the forte of injector cleaners, although naturally the performance will vary between different products. Engine condition, operation and fuel quality both determine the rate of deposit build up on injectors. Cleanpower is our entry in this category, and it is designed to provide rapid cleanup of pumps and injectors, while being suitable as a routine additive for each fill, to ensure stay clean preventative maintenance. Crankcase Deposits. For many reasons deposits accumulate in the engine crankcase (ie the oil wetted side of the engine). Quality of engine oil used, service intervals, engine tune, engine duty cycles, fuel system state, turbo performance, top end deposits, type of engine (eg direct or pre-combustion diesel) and more can affect the rate and amount of sludge, carbon and varnish that builds up to cause mechanical inefficiencies, and deteriorated fuel economy. A restoration (to almost pristine cleanliness) of the crankcase can be achieved using our Flushing Oil Concentrate, and by so doing, operating performance and fuel economy can be restored. The greater the size, and the number of moving parts, the greater the component mass to put and keep in motion, and the greater are the frictional forces, which consume some of the fuel’s otherwise available power. This applies to engines as well as transmissions and differentials and even hydraulics. What can be done to reduce frictional horsepower losses? 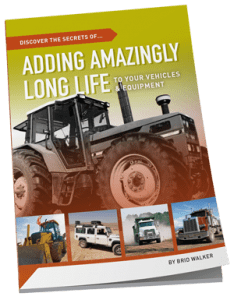 The more widespread use of synthetic oils has allowed machinery manufacturers to design engines and transmissions which run on lower viscosity, oils, and that provides a minor, but important role in progressing efficiencies. Likewise, if you search amongst the top echelon of oil additives, and there will be a few that deliver energy efficiencies due to their ability to further reduce frictional horsepower losses. Our entry in this arena is AW10 Antiwear which achieves its goal by increasing the host oil’s load carrying ability by 2 or more times (depending on the oil). The means of measuring an oil’s load carrying ability is the Falex Test. This is an internationally accepted procedure, which is used by lubricant manufacturers, and should not be confused with the various test machines demonstrated at field days and such. The Falex test has demonstrated that the active chemical in AW10 dramatically raised the load carrying ability of the base oil. It proved far superior to the ZDDP additive, as used almost universally by major oil blenders. The most interesting aspect is that the Torque required to maintain comparable loadings on the Falex test, was substantially less using AW10 (compared to ZDDP). This clearly demonstrates reduced frictional losses and consequent fuel economy. Other Falex tests indicated reductions in bearing temperature from 218C to 149C…a 69C drop. Further dramatic evidence of lower friction! Accompanying lower friction and higher load carrying ability is a benefit in reduced wear. Comparing comparable doses of ZDDP and AW10, wear (as measured by weight loss) with AW10 was a mere fraction of that recorded with ZDDP, and unlike ZDDP, the test was completed without seizure of the test components. For any questions you may about improving fuel economy, contact us on +61 7 3376 6188. 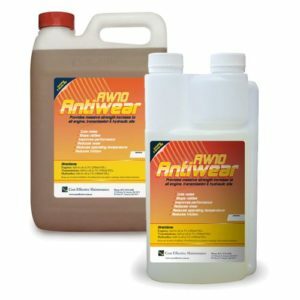 AW10 Antiwear is formulated to deliver massive increases in lubricant load carrying ability, wear reduction and friction/heat reduction. 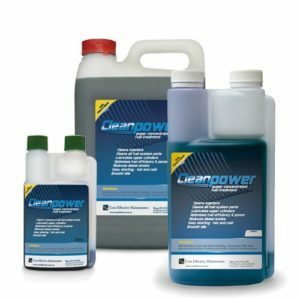 Cleanpower is our remarkably effective fuel system and injector cleaner. Most injectors don’t need replacing … Just a thorough clean. 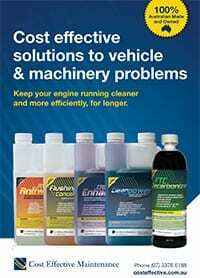 Cleans fuel injectors, fuel pumps & carburettors. Optimizes fuel efficiency & power. Easy starting hot & cold. Smooth operation from idle to full RPM’s. 250ml Treats up to 2000L of Fuel. 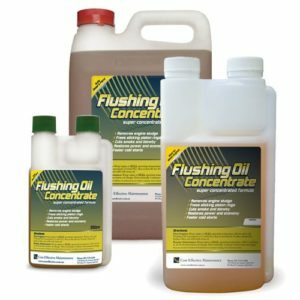 Designed to restore pristine cleanliness to the dirtiest of engines (diesel and petrol), Flushing Oil Concentrate has saved many thousands of diesels from expensive rebuilds.